I have just stepped in the world of hypochondria and I don’ like it one bit. It has taken over my thoughts, my aches, my pains and is the reason I can’t sleep well at night thus giving way to a condition call insomnia and then I’m back to square one because see…? Insomnia is not a fictional illness! It IS a condition! Let us start from the top. Every story has a Once Upon A Time and this one is no exception. To while away my evenings after the kids have gone to bed I usually just plonk myself in front of the TV and multi task doing my nails, checking my emails, talking on the phone with the TV switched on for company. 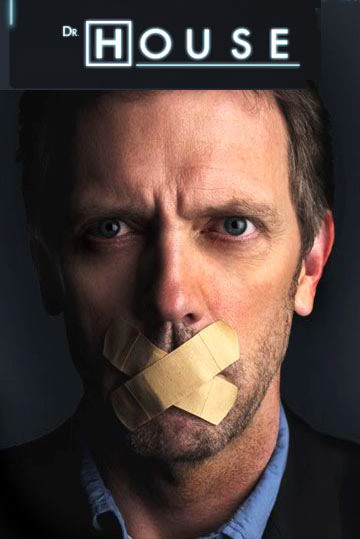 One fine day I channel hopped and came to the Series Channel on DSTV and there was Hugh Laurie who caught my eye. He had a walking stick and he was talking in an American accent instead of his regular British one. 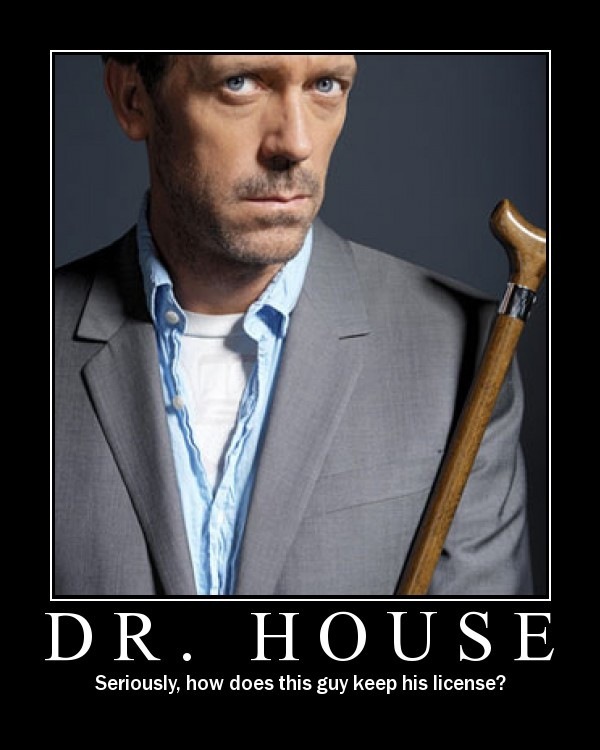 I stopped long enough to realise it was a medical drama and he was the head doctor of a team and his name was House. And THAT is the exact point when my hypochondria started. I got addicted to the series. I couldn’t wait for the designated day for the next episode to come fast enough. Then I realised the Hallmark channel (now known as Universal) ran daily episodes of a past season. I’d be glued to the TV every single day and then I made yet another discovery. Not the Discovery channel… I know about that one! I found out that Diamond Plaza housed a shop (no pun intended) that sold whole seasons of House! I bought four seasons and rushed home to start watching them. I got glued to the TV. I moved the TV and DVD player into my room to start watching House at any given moment. The kids were disgusted I had taken their TV from the playroom where they’d watch their movies and put it in my room. While watching the series I’d have my laptop with me and I’d Google the symptoms to see if I could diagnose the patient. When I failed miserably at that I decided it’s safer to be the patient than the doctor so thereafter any twinges or aches or pains I’d have would get Googled and I’d do a self diagnosis. Dr House is so damn good looking and his rude bedside manner is so enchanting that he managed to bring the hypochondriac out in me. He made me want to be ill and get treated by him. Anytime I’d relate this to friends of mine I’d get strange looks. Silly women should have taken these as warning signs and told me to snap out of it but I was indulged in giggles and weird looks behind my back (I caught a couple of them) and then decided to become reclusive – like any person with an addiction who is not understood. Addicts get a high from their so-called chosen euphoria. If not dealt with in the early stages it becomes a full blown addiction. Right. I’m off to see my GP. I think I have DVT. Next PMS and other stuff…..